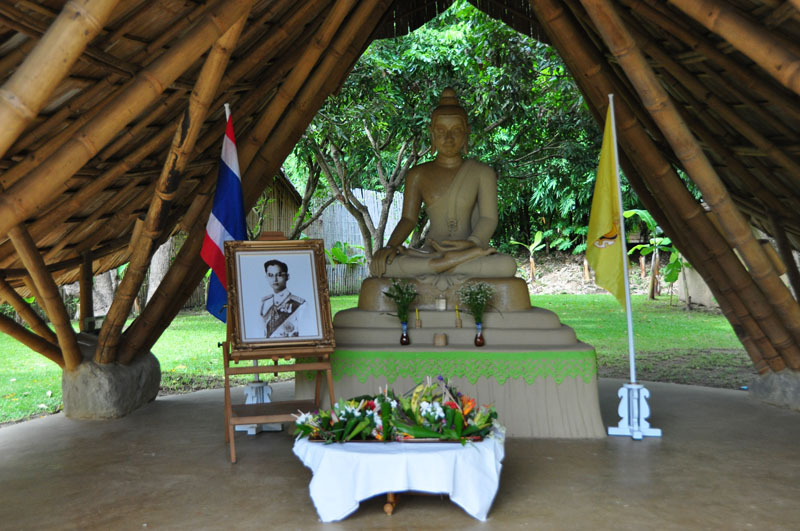 Preparations for commemorating Asanha Bucha Day started on Wednesday at Panyaden School. 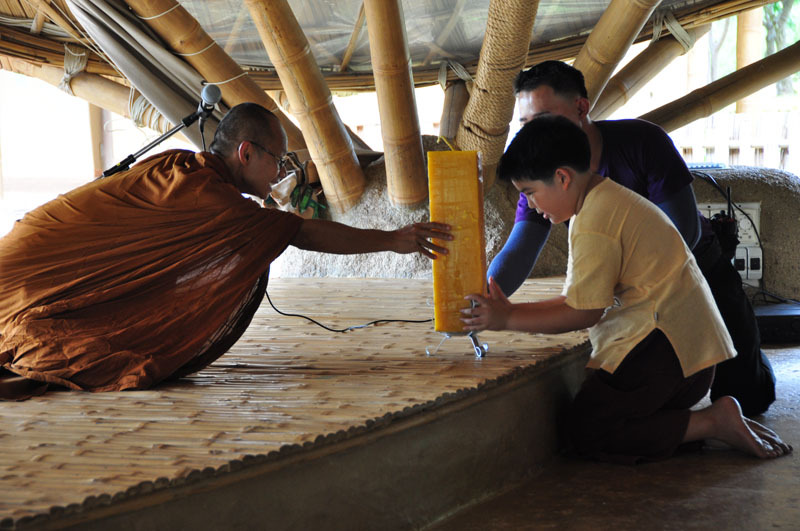 Our students made large candles to present our guest, the Venerable Ajahn Jiew from Wat Pha Yen Boon, Chiang Rai. Candle-making photos here on the blog. Today, we began with our Prathom 5-6 students presenting to their younger Anuban schoolmates the significance of this day, which is one of the most important Buddhist festivals of the year, marking the Buddha’s first sermon. The following day, Wan Khao Pansa, also marks the start of the Buddhist Lent, a time for doing good deeds and committing to the moral precepts. It is a time when monks retreat for three months during the rainy season for contemplation and religious studies. Later in the day, our student representatives also gave the same bilingual presentation to the other primary students. A large candle was then presented to the Venerable Ajahn Jiew before we all went on to our school’s Buddha Sala for the ‘wien tien’ procession. 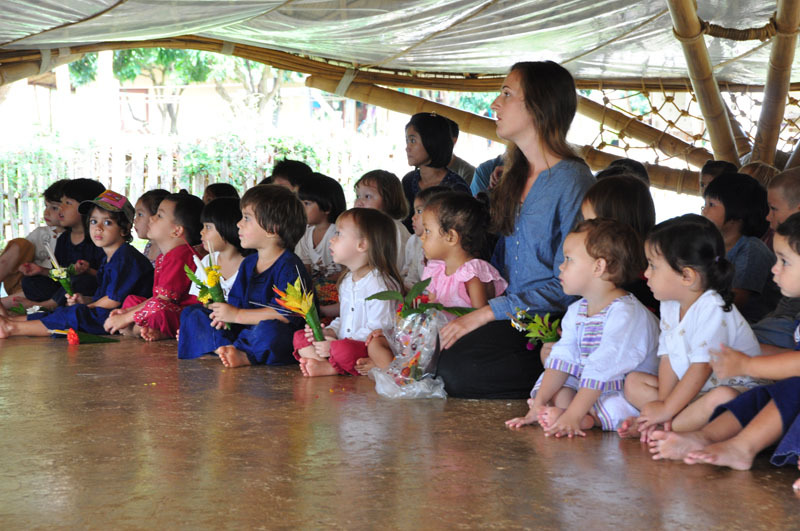 After the ceremony, Ajahn Jiew visited the Kindergarten 3 students in their classroom answering questions like “Are there aliens?”’and ”Why do you shave your head? '” before conducting a talk for teachers, staff, parents and members of the public. 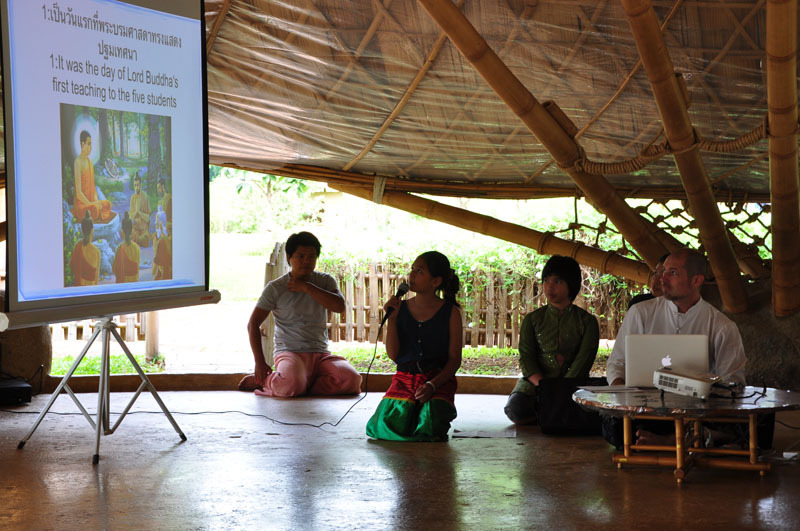 Ajahn Jiew spoke about the wisdom of Dhamma that already exists in nature and in us. The Buddha himself encourages us to investigate, experience and understand the Dhamma for ourselves. 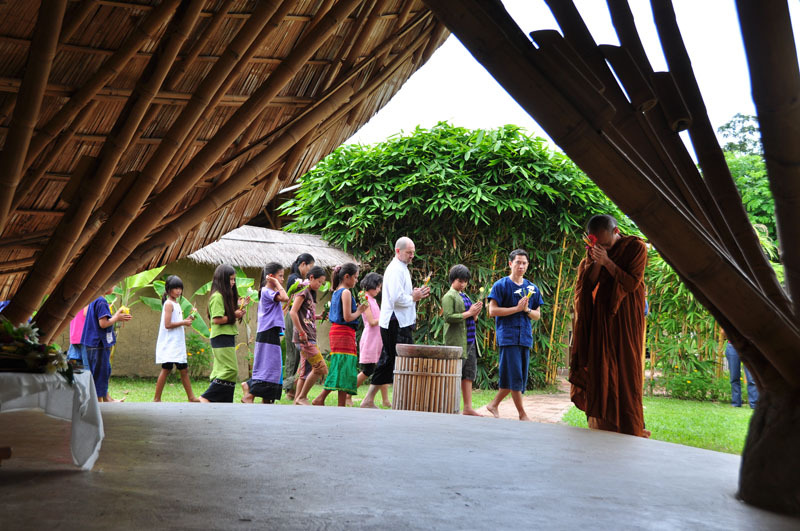 The Sangha is here to guide and point us to the Dhamma. The talk ended with a series of questions from the audience before Ajahn Jiew led everyone in a short meditation session. 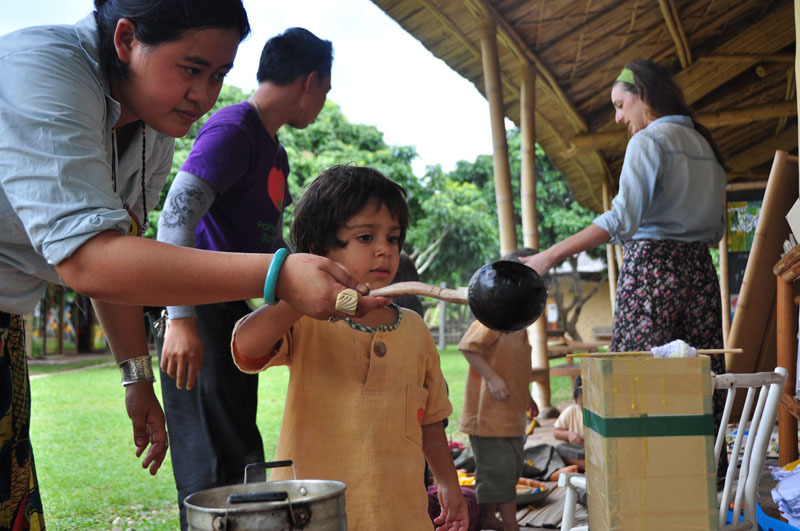 Click here for Asanha Bucha Day photos. 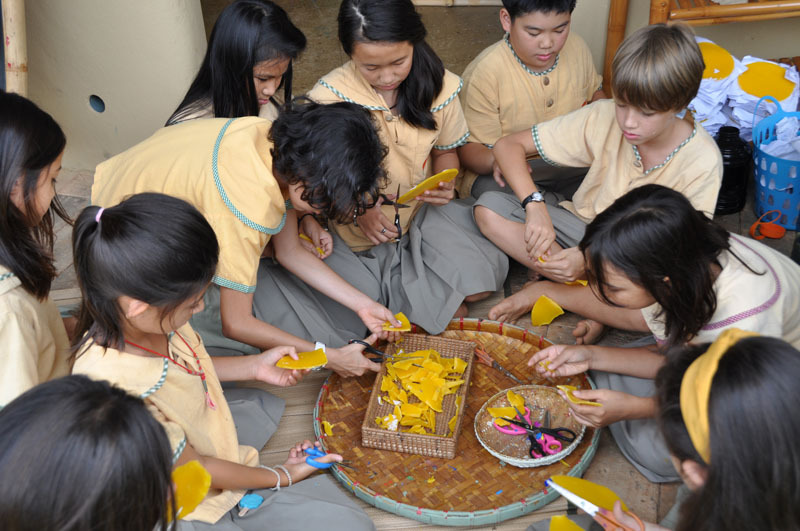 This entry was posted in Featured Posts, Others and tagged Ajahn Jiew, Anuban, Asanha Bucha Day, bilingual, Buddhist Lent, Dhamma Day, Dhamma for, Panyaden School, Prathom 5-6, primary students, The Buddha, Wan Khao Pansa.